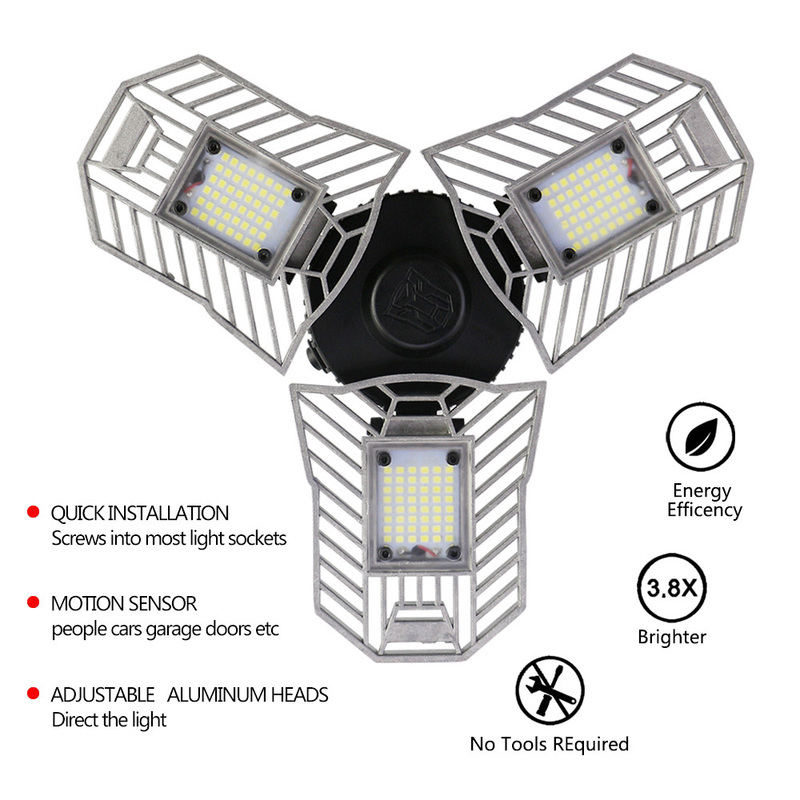 Super shape with 6000 high lumen output make it super bright LED bulb. 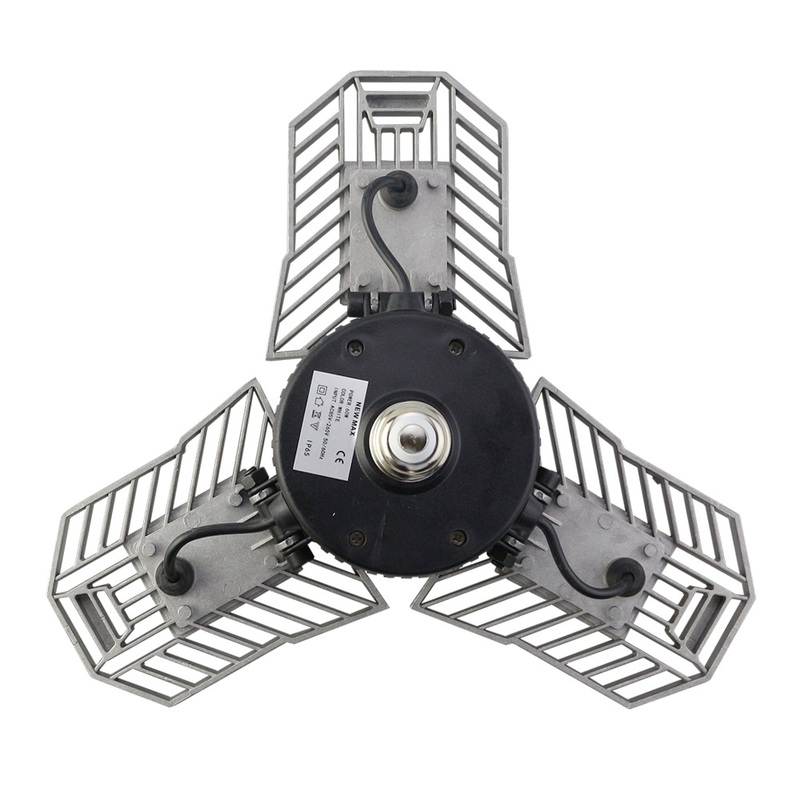 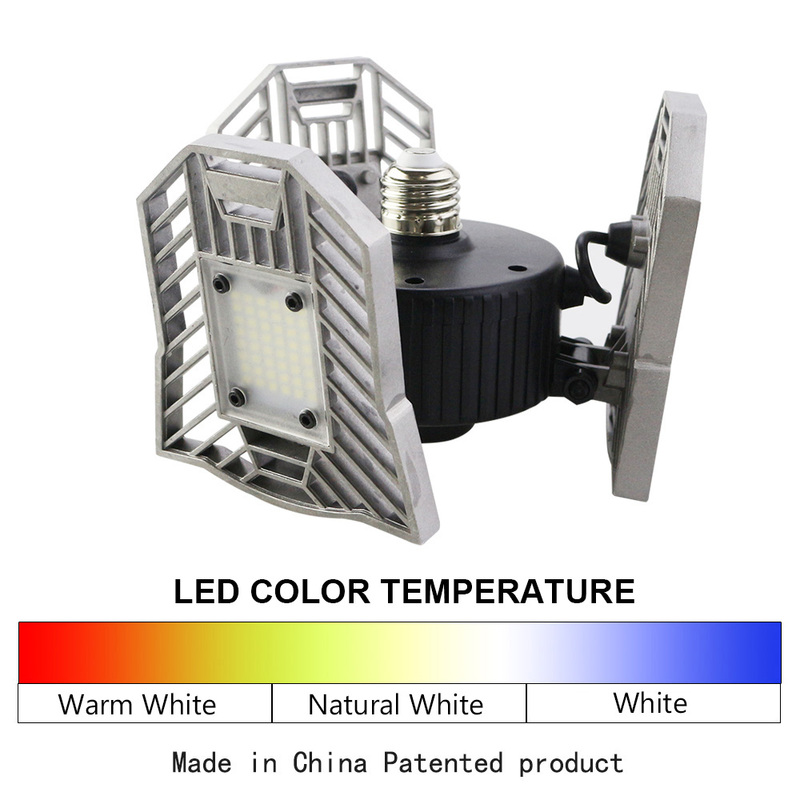 More stable and safer-Premium Aluminum alloy heat dissipated, high-temperature resistant and corrosion resistant. 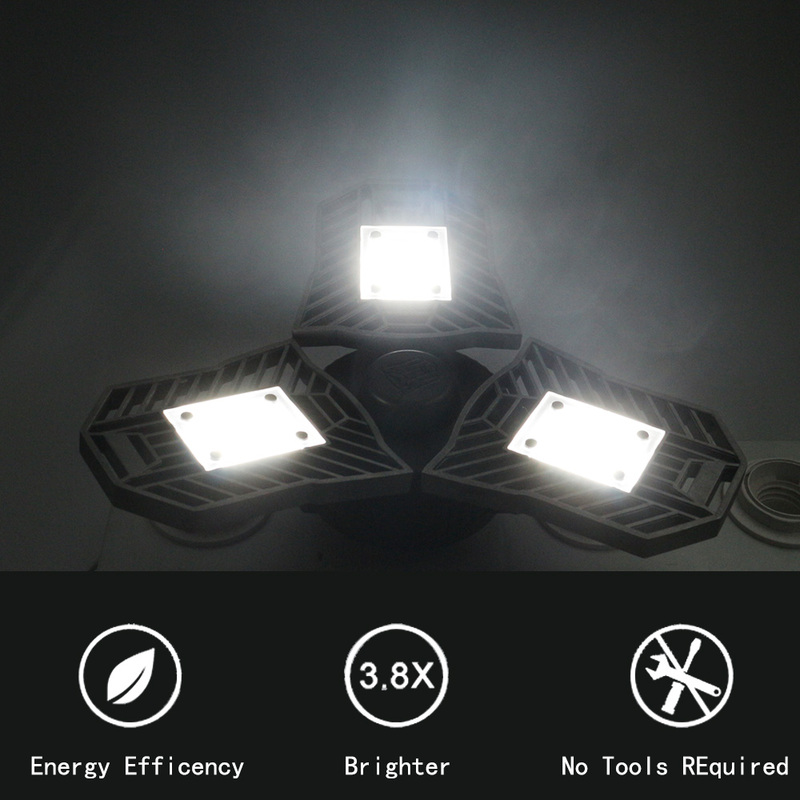 100% harmful components free-Containing no UV, IR, toxic mercury or lead. 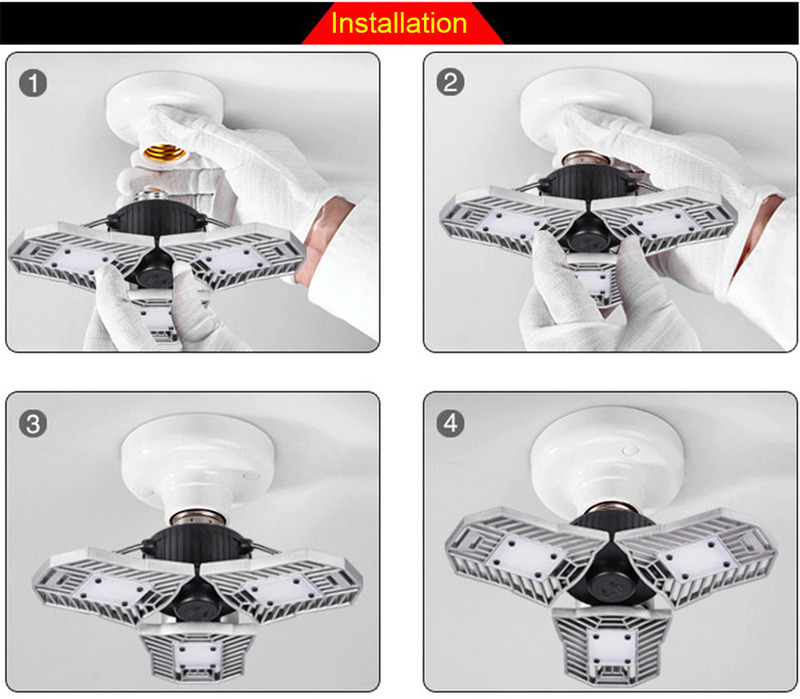 Turn power off before inspection, installation or removal as with bulbs. 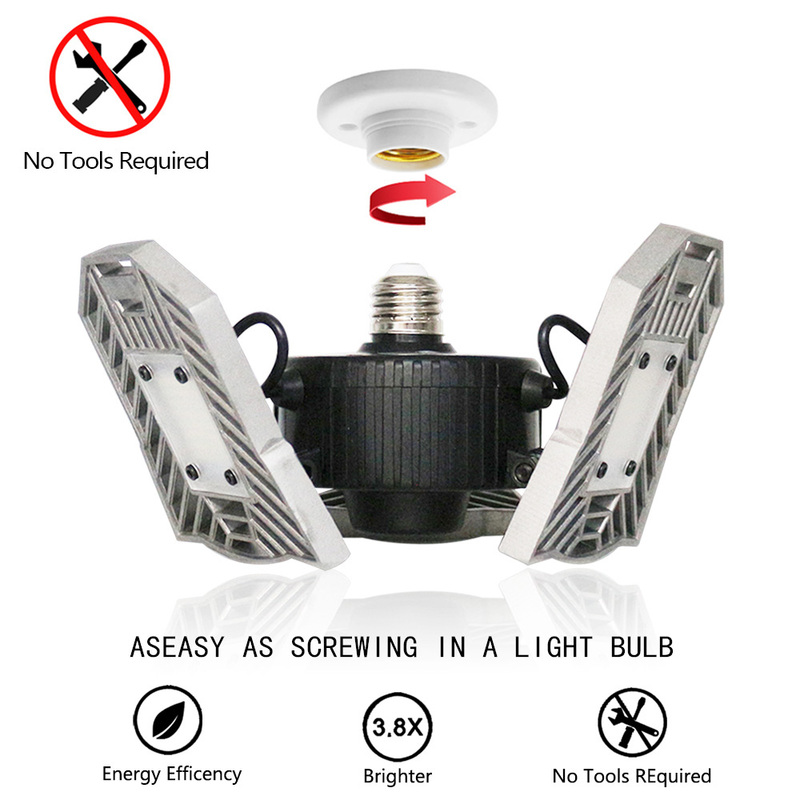 This bulb is not waterproof. 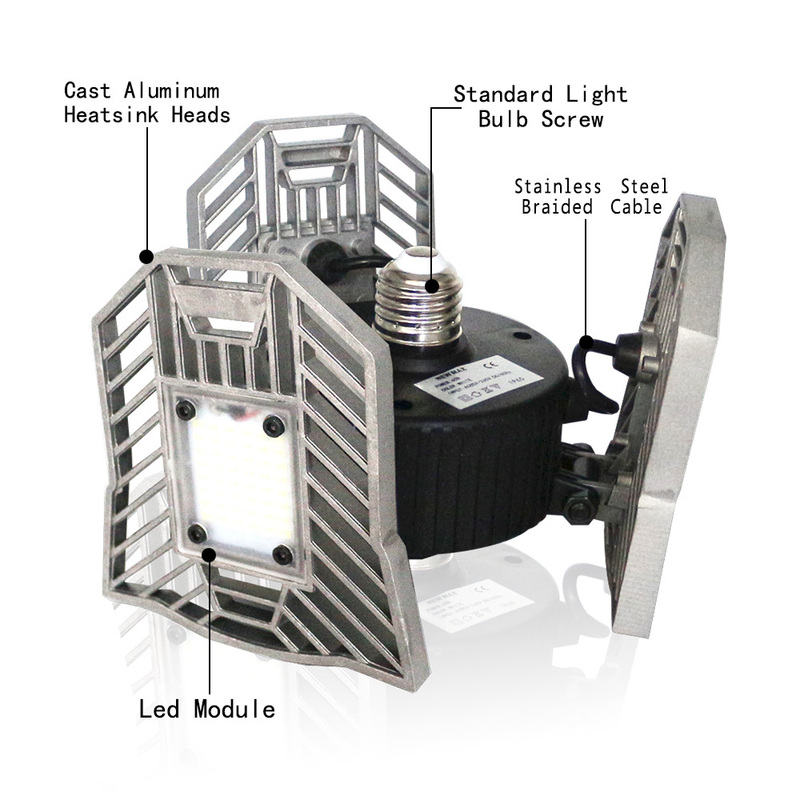 Ideal for both indoor and protected outdoor fixtures. 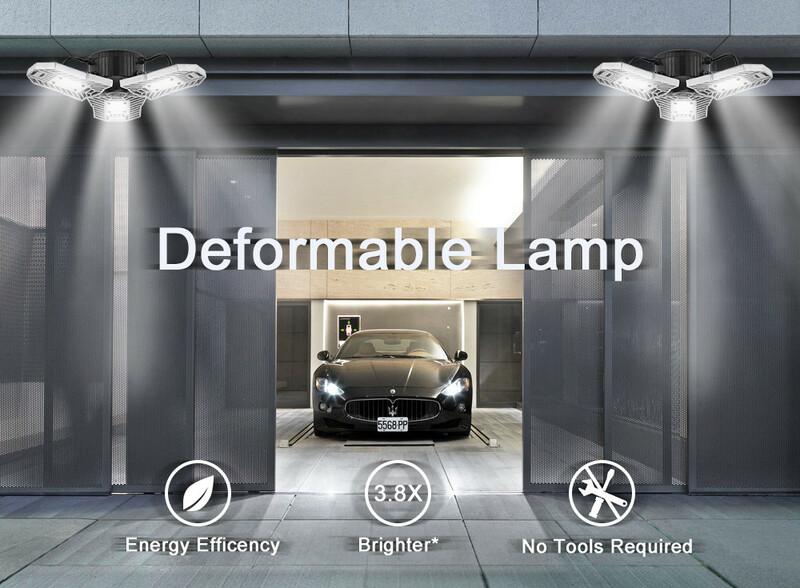 As these are non-dimmable bulbs and we recommend using them in non-dimmable fixtures. 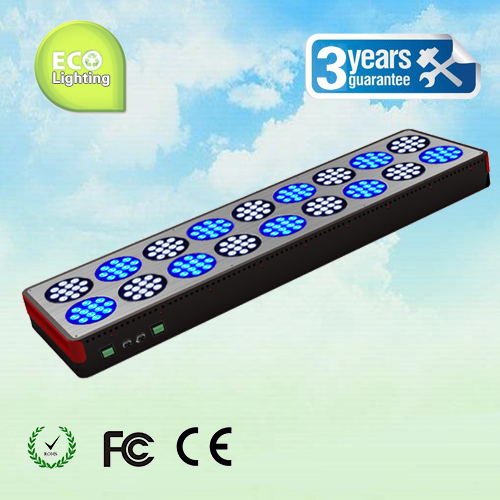 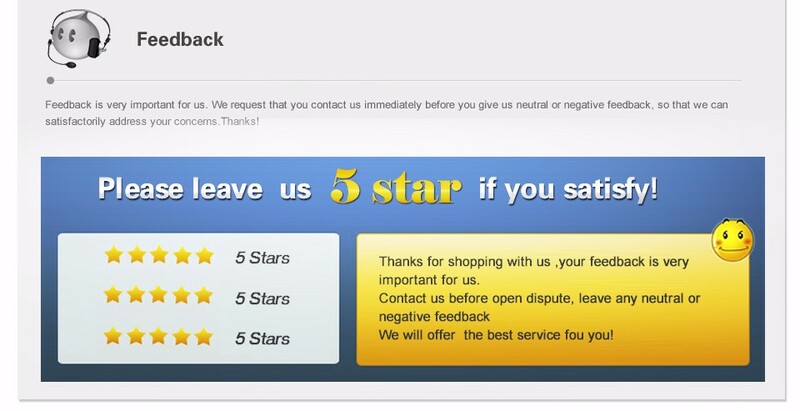 Otherwise, it will cause buzzing and flickering, thus the performance will be highly impacted. 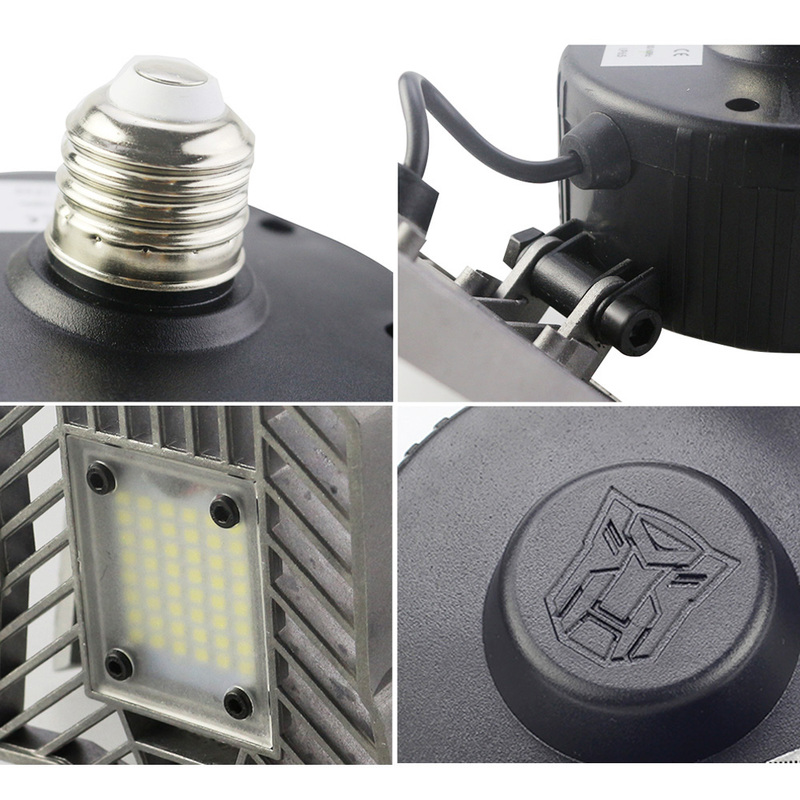 The three aluminum LED heads are adjustable. 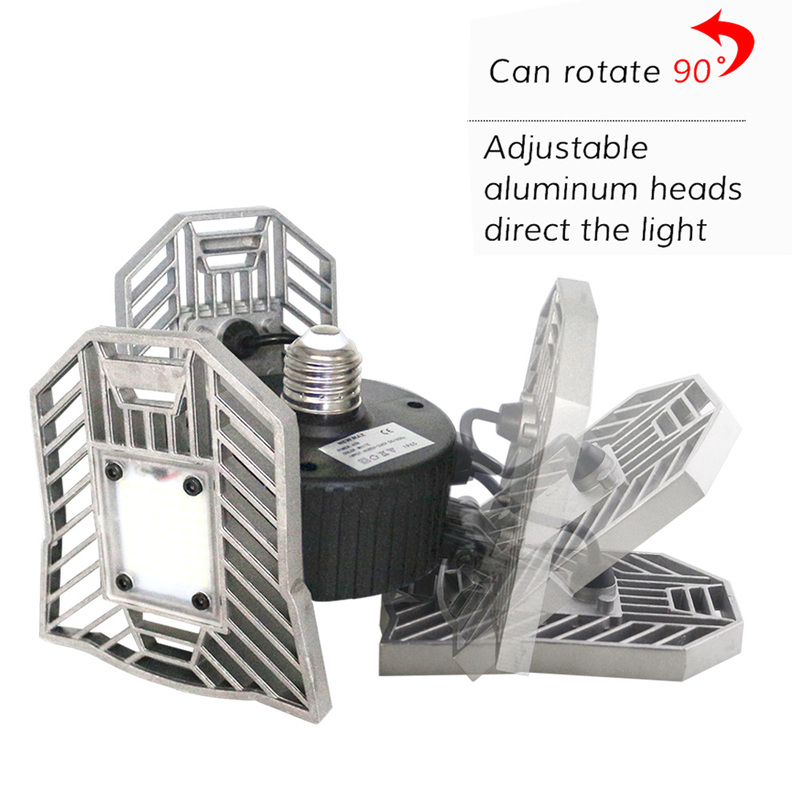 They are can be folded up to 90, this will make the light cover a wide area. 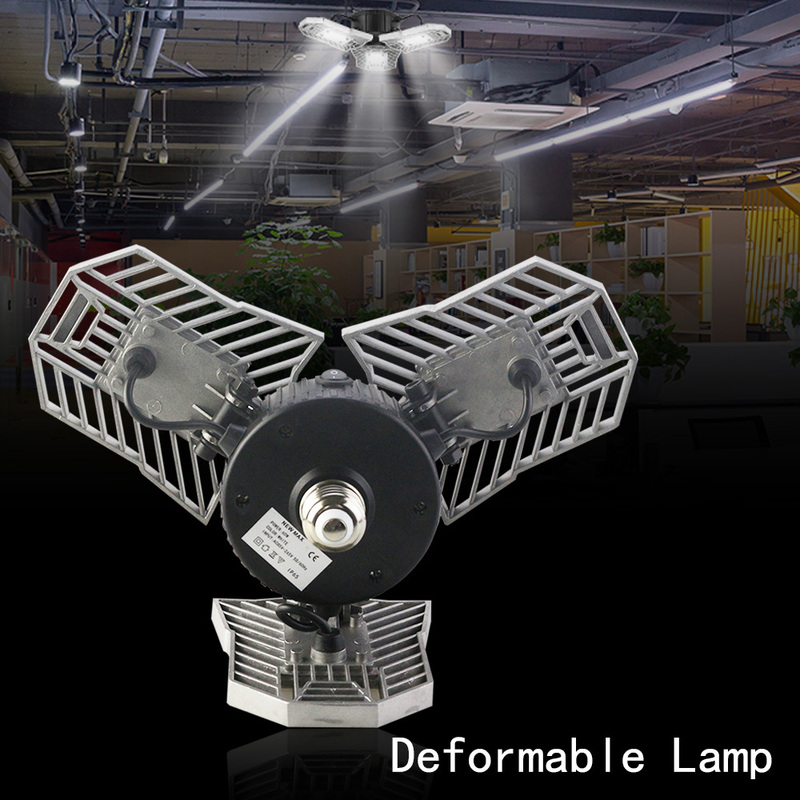 Application:perfect for garage, warehouse, basement, barn, office, supermarket, station, restaurant, hotel, workshop, display area etc.